When I read and study the Bible, I find that it can be relatively easy to read the ancient stories of faith and think…of course, God showed up. It’s easy…because the end of the story is already recorded. But what would happen if you or I were in fact put in the position of one of the heroes of faith? What would happen if God tapped you or me on the shoulder like he did with Noah, Abraham, Joshua…to do something big for Him? It’s easy to look at the ancient heroes of faith when God has tapped them on the shoulder and believe that God would do a mighty miracle in, through, and for them…but when it’s you or me…well that can be a whole different story, right? Well, let me tell you a true story about a man of faith who is not in the Bible and God powerfully showed up in his life. His name is Honi, the circle maker, and I believe that God is still looking for people like him today. It was the first century BC, and a devastating drought threatened life. All of the prophets of God had died and no one had heard from God for a very long time. But there was one man who believed that God could still hear the prayers of His people. So one drought-stricken afternoon, Honi walked into a field, drew a 360 degree circle around himself with his staff, dropped to his knees, cried out to God with the authority of the prophet Elijah, and called down rain. Described in even greater detail by Mark Batterson in his national best-selling book, The Circle Maker, Honi’s resolute yet humble, confident yet meek, expectant yet unassuming prayer sent shudders down the spines of those in earshot of his prayer. Then it happened. With everyone looking heavenward and Honi’s head still bowed, sprinkles of rain started falling. Nevertheless, over the sounds of the celebration, Honi cried out to God again. The sprinkling rain then turned into an overwhelming torrential rain, destroying brittle vegetation, and flooding everything in its path. Once more, Honi refined his prayer. Then, the downpour turned into a steady, stream of tender soaking rain drops that soothed the drought thirsty ground and the spirit thirsty souls of God’s people. God showed up that day when Honi dared to step out in faith and believe God would hear his prayers. Wow! This true story of Honi, the Circle Maker, personally inspires me because as a believer with a heart for building God’s kingdom in the marketplace, I believe the Lord has tapped me on the shoulder to initiate an annual marketplace prayer movement called See You At The Office during the week of July 14th each year. And the reason I feel like Honi is because I am not an ancient hero of faith in the Bible, I don’t know the end of the story yet, and it’s a big step of faith for me to step out and initiate an annual prayer movement in the marketplace. It was during the See You At The Pole student led prayer movement about four years ago when I heard the Lord whisper to me, “If students can pray at the pole, why can’t business leaders pray at the office?” At that time, I pondered the question for a little while but then let it drop from my mind until the next year when See You At The Pole came back around and I heard the Lord whisper to me the same question, “If students can pray at the pole, why can’t business leaders pray at the office.” At that time, I decided to answer the question in prayer. “Lord, I don’t see any reason why business leaders cannot pray at the office and if You want me to initiate a prayer movement in the marketplace, then You will need to give me the name of it and the date of it.” So as I began to pray about this, the Lord gave me the name, See You At The Office, and He gave me the dates of any 2 days during the week of July 14th on the basis of 2 Chronicles 7:14. Think about it… Can the Lord really use somebody like me or somebody like you to do something big for Him? I guess I’m just crazy enough to believe that He can…so I have done the “crazy” thing by stepping out in faith and obedience to do what the Lord has asked me to do. And you know what, I have confidence NOT in me or my obedience, but rather I have confidence in the Lord’s obedience to be true to His Word which gives me supernatural courage to “Honi-up” and do what He has asked me to do. 2 Chronicles 16:9 states, “For the eyes of the Lord run to and fro throughout the whole earth, to show Himself strong on behalf of those whose heart is loyal to Him.” The truth is that I don’t know the end of the story yet, but I am doing what He has asked me to do in faith and I am totally trusting Him with the end of the story. Despite what others might say about my boldness in the Lord, I know this, my responsibility is to simply listen and obey. So then you might ask me why haven’t I scheduled any See You At The Office prayer meetings at the church. It’s not that I don’t want to pray with my colleagues at the church office…it’s simply because See You At The Office is a prayer movement in the marketplace and not in the four walls of the church. I personally believe that our nation is in desperate need of spiritual leaders in the marketplace who will glorify God – Monday through Friday – in the marketplace praying for our nation, praying for their companies, and praying for their team members which is why I’m praying with leaders in the marketplace during See You At The Office. However, I do invite all of my brothers and sisters in the Lord on church staffs to please pray with me for God to move powerfully in the marketplace during See You At The Office. This week I read a tweet stating that Christianity is not about what you can do for God, but what God has done for you. Now I totally get that salvation is the free gift of God and not of works (Ephesians 2:8-9), but I also know that faith without works is dead (James 2:20). Therefore, once we as believers accept and receive the free gift of God for salvation in Christ, we all have a spiritual leadership responsibility to do something with our lives for Christ. If not, we can be very close to being like the nine of the ten lepers who were healed by Jesus, and only one came back to thank Him as recorded in Luke 17:11-19. If we as believers, do not return to the Lord and give Him thanks for what He has done for us in Christ by honoring Him in the marketplace, I think we are in for a tough road in this nation. Let me read this startling true article from Fox News and Friends. The headlines read: Arizona Pastor Arrested, Jailed for Holding Bible Study in Home; His Wife Says It ‘Defies Logic’ Click Here to read the full article. It is unbelievable that this kind of story is actually true right here in America and not just some other country. It is unfortunate, but so terribly true, that our constitutional freedoms like the freedom of religion, the freedom of assembly, and the freedom of speech can be so easily stripped away from us, if we who believe in Christ do not stand up and impact our culture for Christ. This is one of the reasons why I believe the Lord has asked me to initiate See You At The Office. It is an opportunity for His people, called by His name, to draw a circle in the marketplace and pray for Him to move in a mighty powerful way on the behalf of His people. 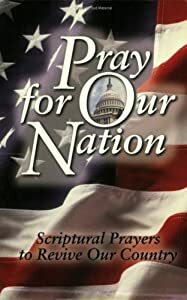 Without any doubt, you and I, along with other Christ followers in the marketplace, have the awesome opportunity and tremendous spiritual leadership responsibility to pray in the marketplace for our nation, our companies, and our team members with the authority that Christ has given us. And the coolest thing about it, when we “Honi-up” together and pray through the challenges that face us, Jesus promises to answer our prayers and be right there with us. Therfeore, it is my sincere pleasure and honor to personally invite you and your colleagues to pray with me and many other Christ followers in the marketplace each year during See You At The Office! To the glory of God, have a blessed “make it happen” day and I will See You At The Office! Honi-Up And Pray In The Marketplace Copyright 2012, The Make It Happen Learning Institute. You have permission to reprint the leadership article, Honi-Up And Pray In The Marketplace, in its entirety only, and forward to your colleagues and friends, provided the copyright notice remains part of the reprint and transmission. All other rights reserved. To Connect Leadership Passion With Kingdom Purpose In Today’s Marketplace! To Practically Engage, Equip, Empower, and Encourage Marketplace Leaders To Build The Kingdom Of God In The Marketplace For God’s Glory And The Benefit Of Others. Local Advance Initiatives focus on the development of marketplace leaders through weekly faith-based leadership development meetings, exclusive leadership development retreats, and annual leadership development conferences for marketplace leaders in the community. Global Advance Initiatives focus on business missions outreach and leadership development of business leaders in the marketplace around the world through faith-based business seminars and leadership development conferences. Marketplace Prayer Initiatives focus on the grass roots establishment of a national prayer movement in the marketplace called See You At The Office for 2 days during the week of July 14th where marketplace leaders unite in prayer for their teams, company, and our nation at their respective offices in response to God’s promise in 2 Chronicles 7:14. Marketplace Coaching Initiatives focus on developing faith-based marketplace coaches to walk alongside marketplace leaders and provide faith-based leadership coaching in the marketplace through a practical 4-step organizational development strategy to effectively build the kingdom of God in the marketplace. Make It Happen Team Values provide a practical leadership framework to build the kingdom of God in the marketplace for God’s glory and the benefit of others. With Make It Happen Team Values, business leaders can create team cultures of empowerment that unleash the extraordinary God-given potential of “make it happen” people in the kingdom of God to make a real difference in life. “The people who know their God shall be strong, and carry out great exploits.” Daniel 11:32. Make It Happen People Are Led by Servant Leaders. “But Jesus called them to Himself and said, ‘You know that the rulers of the Gentiles lord it over them, and those who are great exercise authority over them. Yet it shall not be so among you; but whoever desires to become great among you, let him be your servant.’” Matthew 20:25-26. “But he who is greatest among you shall be your servant. And whoever exalts himself will be humbled, and he who humbles himself will be exalted.” Matthew 23:11-12. Make It Happen People Take Calculated Risks in the Pursuit of Excellence. “But Jesus looked at them and said to them, ‘With men this is impossible, but with God all things are possible.’” Matthew 19:16. “For whatever is born of God overcomes the world. And this is the victory that has overcome the world—our faith.” 1 John 5:4. Make It Happen People Work Extremely Hard and Have Lots of Fun. “And also that every man should eat and drink and enjoy the good of all his labor—it is the gift of God.” Ecclesiastes 3:13. “Whatever your hand finds to do, do it with your might; for there is no work or device or knowledge or wisdom in the grave where you are going.” Ecclesiastes 9:10. Make It Happen People Invest and Participate in Training and Development. “My people are destroyed for lack of knowledge.” Hosea 4:6. “And the things that you have heard from me among many witnesses, commit these to faithful men who will be able to teach others also.” 2 Timothy 2:2. Make It Happen People Celebrate Individual and Team Accomplishments with an Abundance Mentality. “Rejoice in the Lord always. Again I will say, rejoice!” Philippians 4:4. “Rejoicewith those who rejoice, and weep with those who weep.” Romans 12:15. Make It Happen People Foster an Environment of Teamwork and Mutual Respect. “A friend loves at all times, and a brother is born for adversity.” Proverbs 17:17. “And be kind to one another, tender-hearted, forgiving one another, even as God in Christ forgave you.” Ephesians 4:32.“Again I say to you that if two of you agree on earth concerning anything that they ask, it will be done for them by My Father in heaven. For where two or three are gathered together in My name, I am there in the midst of them.” Matthew 18:19 20. The culture of an organization, intentional or unintentional, reflects the values of the organization and will drive everything in the organization. Emphasizing the organizational strength and power of culture, Dr. Sam Chand, author of Cracking Your Church’s Culture Code, says “Culture will eat vision for lunch!” To build an organizational culture that reflects the values of the kingdom of God in the marketplace, leaders must intentionally develop the culture with practical faith-based values communicated in the make-it-happen language of the marketplace. Make It Happen Team Values practically equip and empower marketplace leaders with a simple and effective team values framework to intentionally develop the culture of a team and organization where vision flourishes, people are empowered, and the kingdom of God is built in the marketplace. The culture development step includes leadership training in the areas of vision casting, values definition, values training and certification, and corporate communication. While the culture of an organization reflects the values of an organization, the chemistry of an organization reflects the unity of the organization. When an organization is unified in values and purpose, teamwork is built and enhanced for the greatest good of all stakeholders. Ecclesiastes 4:12 states, “Though one may be overpowered by another, two can withstand him. And a threefold cord is not quickly broken”, therefore, it is clear from the Bible that a unified team cannot be easily broken or destroyed. The chemistry development step includes leadership training in the areas of employee engagement, employee recruitment, employee recognition, and employee ambassadorship. The strength of an organization is established on the foundation of its people. If the people in the organization are strong and competent, the organization will be strong and competent. Therefore, it is imperative that an organization develop an effective process to continually build strong and competent people in the organization. The competency development step includes leadership training in the areas of goal setting, performance evaluation, leadership coaching, and employee development. The influence of an organization rises and falls on the influence of its leaders and the influence of leaders rises and falls on the character of leaders. Therefore, to develop an organization with great influence, an organization must develop great leaders with great character. The character development step includes leadership training in the areas of leadership thinking, leadership ethics, leadership principles, and leadership practices. The Marketplace Ministry I See Copyright 2011, The Make It Happen Learning Institute. You have permission to reprint the leadership article, The Marketplace Ministry I See, in its entirety only, and forward to your colleagues and friends, provided the copyright notice remains part of the reprint and transmission. All other rights reserved.